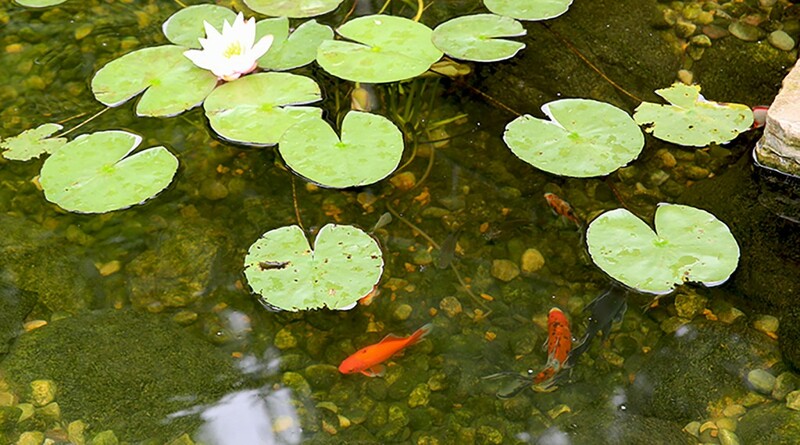 On average, the depth of a koi pond is 2 ft. Now, you could really go as deep as you want, but 2 ft. is the minimum to keep fish in the pond over the winter months. You don’t want to go any shallower than 2 ft. because over winter the ice will freeze, and there likely won’t be enough water for the fish to survive. Many people do go deeper than 2 ft., which is perfectly fine. Really, the choice is up to you on how deep you want your koi pond to be. 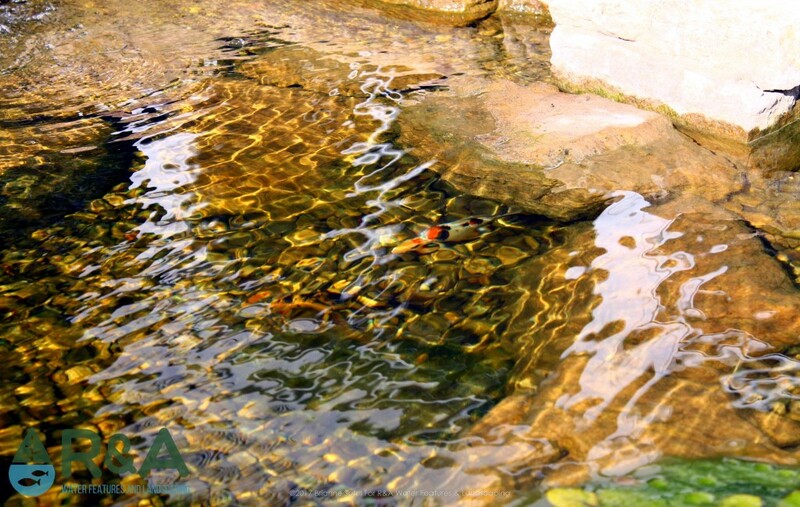 We will usually build our ponds with an average depth somewhere between 2 1/2 ft and 3 ft. We have found that a depth between 2-3 ft. is ideal to keep the pond ecosystem in balance. Now, if you really want to enjoy your pond, you can go 6-8 ft. deep. This might sound a little much for the average backyard pond hobbyist, but with a depth of 6-8 ft., you can swim in it like you would in a pool. You might be thinking…hmm no thanks, ponds are not for swimming. You’re right if we are talking about retention ponds or ponds that have no filtration. But a swimming pond is much more than your average backyard pond. And honestly, they can be a bit easier to maintain than smaller ponds, due in part to the larger ecosystem of a swimming pond. Even better…kids of all ages will love playing in and around a swimming pond…and when we say kids, we don’t just mean under the age of 10. Ponds and water features in general, tend to bring out the kid in all of us! 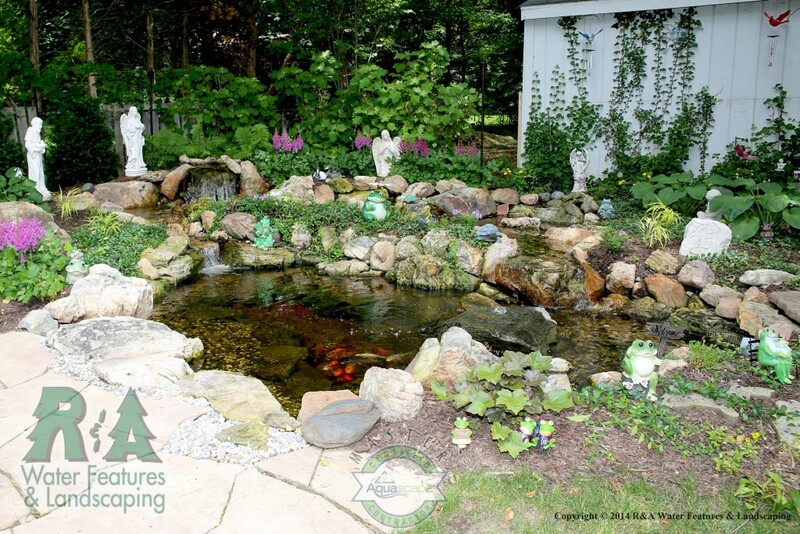 If you have additional questions, or you’re ready to build your pond, feel free to give us a call, or you can also check out Pond’s 101 to answer additional questions.